EghtesadOnline: Oil futures in New York zeroed in on $70 a barrel as traders brace for a re-imposition of U.S. sanctions on Iran. Prices jumped 1.9 percent on Friday to close at the highest level since November 2014. Even though U.S. President Donald Trump has yet to announce whether he’ll pull out of the 2015 Iranian nuclear deal as a May 12 deadline nears, American officials already are positioning for post-accord negotiations. New sanctions could disrupt crude exports from OPEC’s third-largest producer. A rally in equities also pulled oil higher, according to Bloomberg. 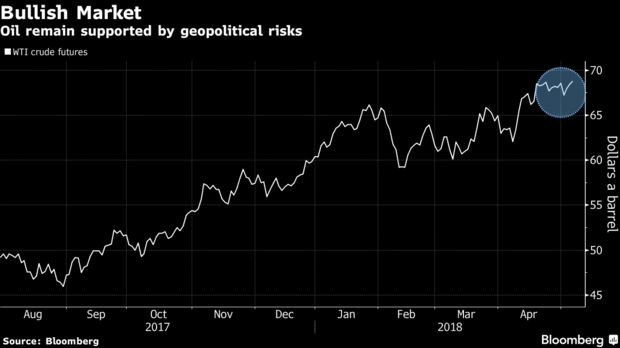 Crude has rallied about 15 percent so far this year as OPEC and allied producers crimp a global glut and geopolitical risks multiplied in the Mideast region that’s home to almost half the world’s oil. 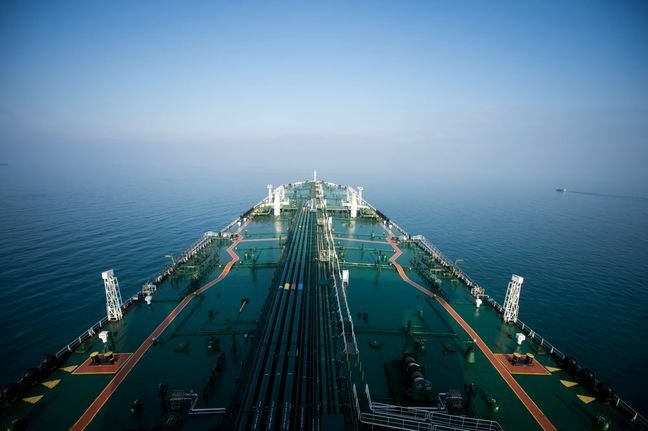 West Texas Intermediate crude for June delivery advanced $1.29 to settle at $69.72 a barrel on the New York Mercantile Exchange, after trading just 3 cents below the $70 mark. Total volume traded was about 1 percent below the 100-day average. Prices are up 2.4 percent this week. Brent crude for July settlement climbed $1.25 to end the session at $74.87 on the London-based ICE Futures Europe exchange. The global benchmark crude was at a $5.29 premium to July WTI. In the U.S., record crude production has been a headwind on the price rally. A dearth of pipeline capacity in the biggest American oil field -- Permian Basin of West Texas and New Mexico -- has crushed local prices: some grades of West Texas crude are selling for almost $14 a barrel less than the U.S. benchmark, the steepest discount since July 2014. Gasoline futures rose 1.3 percent to settle at $2.1140 a gallon on Friday. The European Union may announce a settlement with Gazprom PJSC as soon as this month that would see the gas giant enter binding pledges to put an end to a seven-year-old antitrust investigation, according to people familiar with the matter. French energy giant Total SA plans to boost oil exploration and open more fuel stations in South Africa. What to Expect If US Walks Out of JCPOA?